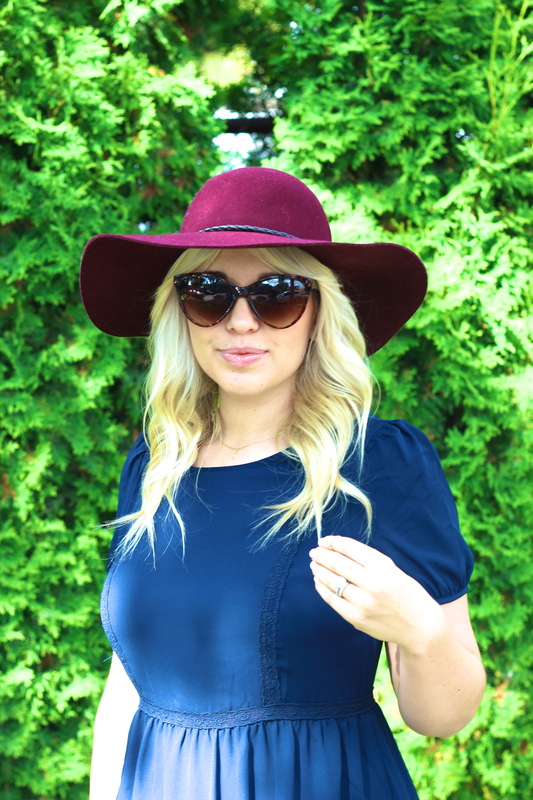 Feeling Fall - Lovely Blonde Closet "
Transitioning from summer into fall is one of my favorite times of the year. It has not been too cold yet, but there is a crispness in the air and it makes me want to break out everything “fall”. I decided to start with a color palette that pertains to fall, along with some pieces that will work great now and more into the new season. 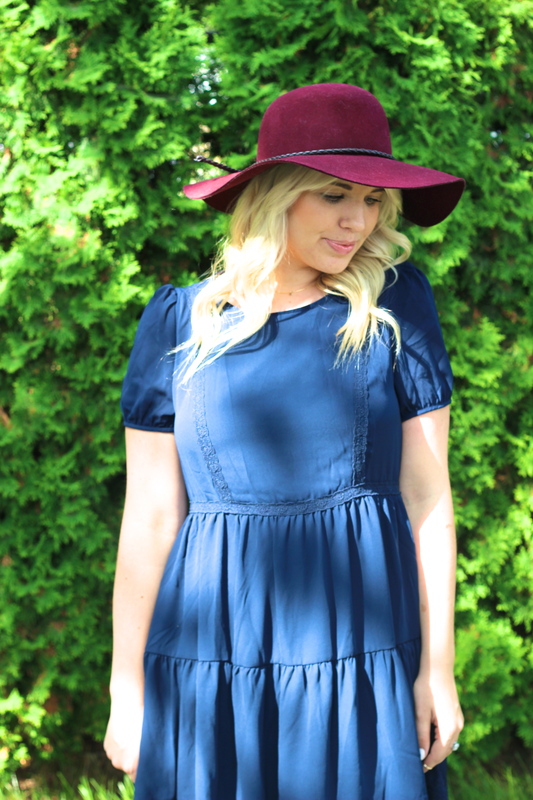 Burgundy and navy are two staples I have on repeat throughout the fall season! 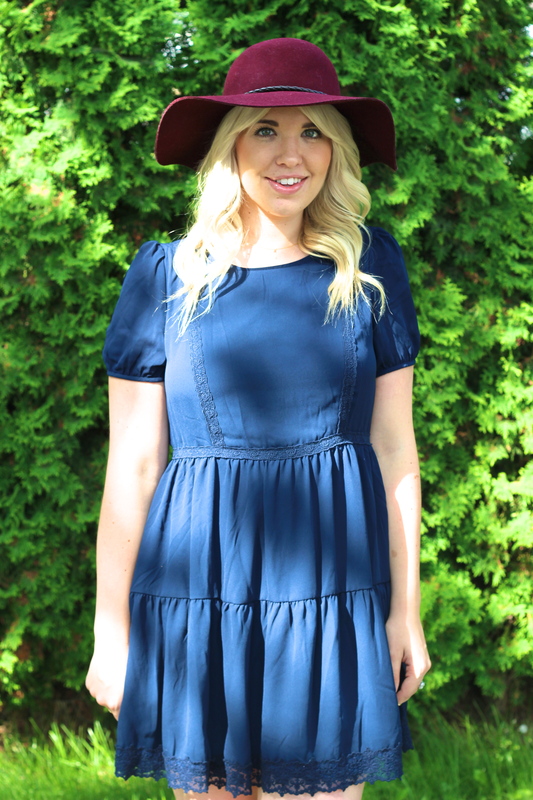 This simple babydoll dress with lace accents went perfect with some ankle booties and a hat. This dress can be worn many ways, such as with tights, a chunky knit and tall boots when it gets cooler, I can’t wait to wear that along with a Pumpkin Spiced Latte in hand! We have had a busy week around here.. we are currently packing up our rental apartment in Edmonton, and getting ready to move to Saskatoon for the month of September. It is going to be hectic, but I cannot wait until we are back home in our house in Calgary. There is so much to look forward to in this new season! Addi has been doing a little better with her sleep training, but we are most definitely still working on things. I think we will establish a better routine when we are at home in our own house and settled, at least that’s what I am hoping for, fingers crossed! I hope you’re all having a fantastic week, happy hump day! Thanks for reading. I am IN LOVE with this look! It is the epitome of Fall. You have inspired me to put together a similar look for Fall. I am on a mission!